Hiratsuka Hachimangu Shrine (Go-no-miya, or the fifth shrine). At the top of those was the mother shrine Rokusho Jinja. The origin of the Shrine is rather obscure. Ancient records state that way back in the 5th century, Emperor Yuryaku (his date of birth and death unknown) offered a holy tribute, or a wand with hemp and paper streamers, to the Shrine. Emperor Yuryaku was the 21st generation of the imperial family and was on the throne during the 22-year period from 456 through 478. 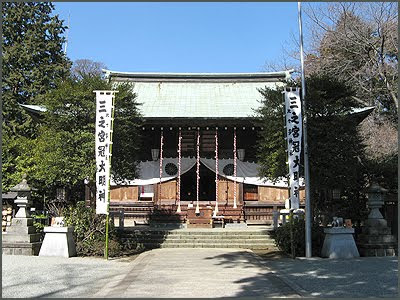 During the Edo Period (1603-1868) under the rule of the Tokugawa Shogunate, the Shrine was revered by the folk in eastern Japan as the guardian deity to protect the eight provinces, or today's Tokyo and its five outlying prefectures, from all evils. Later, the Shrine began to be worshiped as the guardian deity to protect the eight directions (Happoo in Japanese), in other words, all directions, after the eight provinces changed the names to today's metropolitan Tokyo and five prefectures. 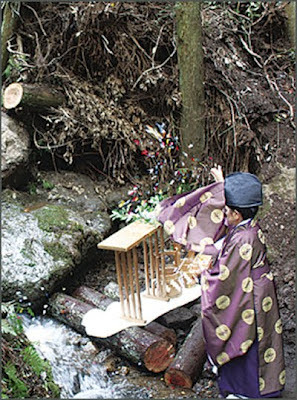 For instance, superstitious carpenters, who are often nervous on the directions, has been visiting the Shrine to receive its soil and using it on a ground-breaking ceremony to exorcise evil spirits. The Hibita shrine may date back as a sacred region to more than 10000 years, according to some recent excarvations in the compound. There was a stone circle in the compound with "standing stones" tateishi 立石. 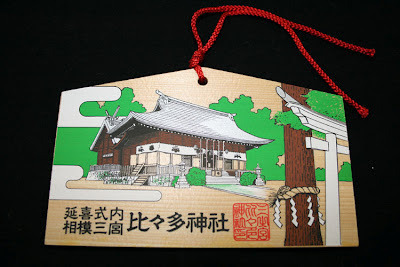 First mention in the shrine papers date back to 655, to Jinmu Tenno 神武天皇. The shrine was connected with the mountain worship at Mount Ooyama.
. Oyama Afuri Jinja Shrine　大山 阿夫利神社 . - related to Tamanooya no mikoto 玉祖命, deiity related to the magatama makers. deity of weaving, making garments for all the deities beside her sister, Amaterasu.
. Nasu 願を茄子守 Eggplant .
. Sake, Nihonshuu, 日本酒, the Drink of Japan . 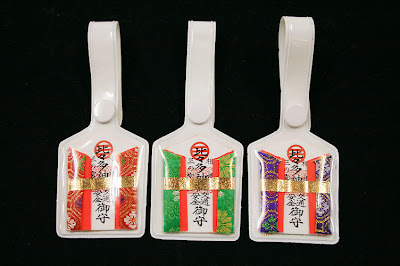 Ama no akarutama, Toyotama Hime　豊玉姫 (Nihongi), Tama no oya (Kojiki), Kushiakarutama no kami, Haakaru tama, Tamanoya no mikoto (Nihongi). According to Kojiki and an "alternate writing" transmitted by Nihongi, Amenoakarutama was commanded to fabricate the carved stones (tama) hung on the decorations (mitegura) used to entice Amaterasu from her rock cave. From that event, he was known as the ancestral kami (sojin) of the Shinabe clan, which manufactured such carved stone jewels (magatama). 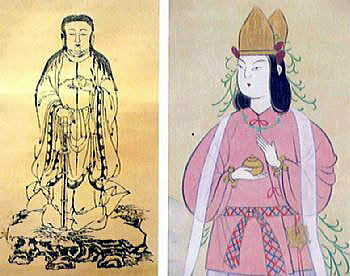 Amenoakarutama entrusted the jewels to Ninigi, and in Kojiki his name is also associated with the "chiefs of the five clans" who accompanied the Heavenly Grandchild on his descent from heaven (tenson kōrin). According to Nihongi, Amenoakarutama was Ninigi's child, while he is described as the grandson of Takamimusuhi in Shinsen shōjiroku. Other deities identified with Amenoakarutama include Haakarutama and Kushiakarutama. The first appears in Kogo shūi and an "alternate writing" quoted in Nihongi as the deity who meets Susanoo upon the latter's assent to heaven, and who later gives Susanoo the jewels used in his contest (see ukei) with Amaterasu. 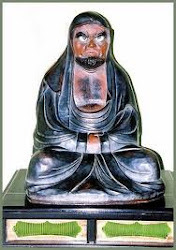 Kushiakarutama, on the other hand, appears as the priest Tamasuri ("he who makes the jewels") who enshrines Ōmononushi at the time of the "transfer of the land" (kuniyuzuri). 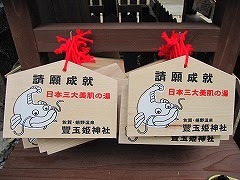 The work Engishiki also includes in its list of shrines some related to the clans and occupational groups Tamanooya no Muraji and Tamatsukuri-Be. 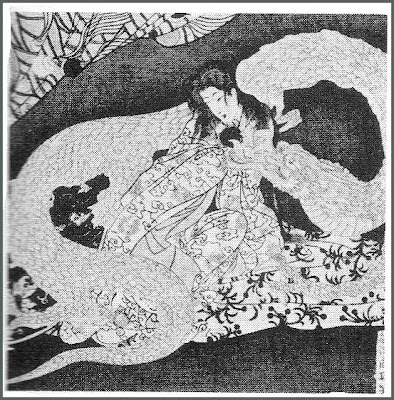 Toyotama hime "Luminous Pearl Princess"
She was a child of the Dragon God.
. Toyotama Hime and her Husband Yamasachihiko 山幸彦 . 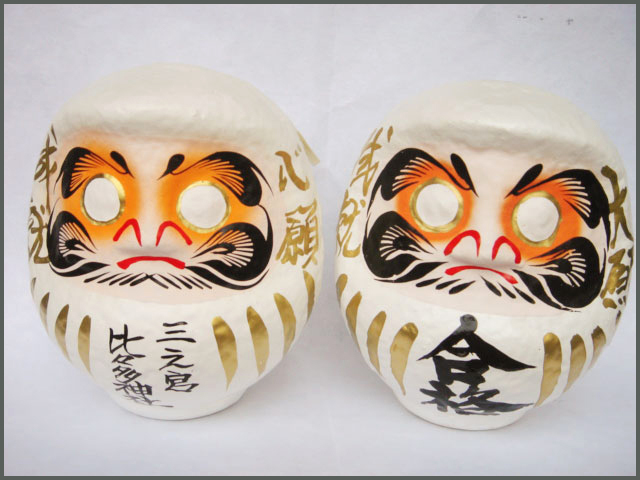 bihada no kamisama 美肌の神様 deity for beautiful skin. 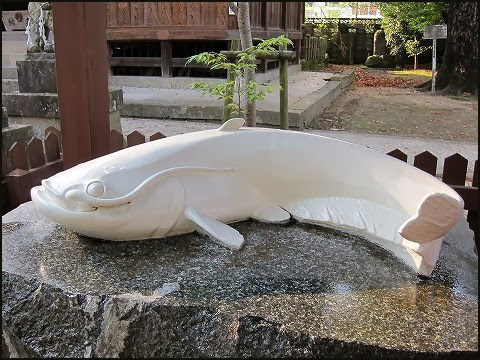 In the compound is also a monument for one of her retainers, the honorable catfish, Namazu sama なまず様. Once there was an outbreak of skin disease in the village and the princess was worried. The catfish said "I will help you". He let all the people of the village touch his body to become healthy and beautiful again.
. namazu なまず　. 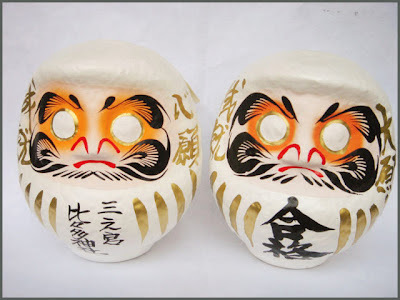 鯰　catfish amulets - der Wels . A kami of uncertain identity appearing in an "alternate writing" transmitted in Nihongi's "divine age" chapters. Wakahirume is sometimes identified as the child or younger sister of Amaterasu, or as Amaterasu herself. The name Wakahirume ("young-day-female") suggests a contrast to Ōhirume ("great-day-female"), another name for Amaterasu). According to the alternate Nihongi account, Wakahirume was inside the "sacred weaving hall," weaving clothes for the other heavenly kami, when Susanoo cast a "backwards-flayed piebald colt" into the hall, startling Wakahirume and causing her to fall from the loom and die. It was her grief over Wakahirume’s death that drove Amaterasu to hide herself away in a cave.
. Shrine Ikuta jinja 生田神社 in central Kobe . Niutsuhime was viewed as the mother of the Buddhist deity Kōya Myōjin, and generally identified with the kami Wakahirume.
. Niutsuhime, Niutsubime 丹生都比女 .
. Hiratsuka Daruma 平塚だるま .
. Shrine Sakatoki Jinja 酒解神社 .